15597 SOUTHEAST MILL PLAIN BLVD. There are many reasons for life insurance…what’s yours? What direction do you want your retirement to take? At Boyce Financial Group our guiding mission is to help you reduce or eliminate financial concerns, focus on opportunities and provide the guidance that enables you to attain your goals. We do this by utilizing your strengths. Employing our processes and taking the necessary steps to ensure your satisfaction. While understanding that each client’s personal concerns and objectives are as unique as the individual. We seek to help preserve and strengthen your financial position in the years and decades to come. Our commitment in helping you pursue your financial goals, combined with our strong community and family values provide the foundation on which trusted relationships are built. We accomplish this by our hands on approach. We listen to your needs and educate you so that prudent financial decisions are made. 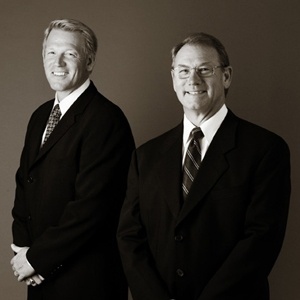 Our firm provides customized financial planning services in investment, tax, retirement, insurance and estate planning. We also provide a fee-only, asset management service utilizing our proprietary “stop-loss” methodology. We seek to deliver consistent, superior long-term investment results by utilizing this tactical, disciplined and diversified asset allocation strategy. Whether you are building assets for the future or seeking to protect, enjoy and pass on those you already have, Boyce Financial Group can help you along the way. I invite you to learn more about how we can provide you with the necessary services to help today. If you wish to schedule an appointment, send us an email or give us a call at (360) 695-0981. Securities and investment advisory services are offered through registered representatives of Cetera Advisor Networks LLC, member FINRA & SIPC, a broker/dealer and a registered invesment adviser. Boyce Financial Group, LLC. and Cetera Advisor Networks LLC are not affiliated.